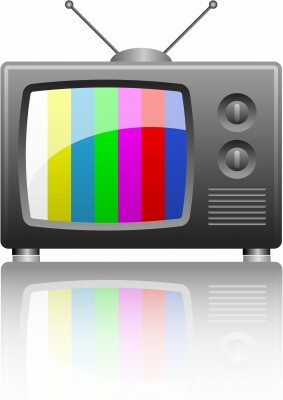 Here is the FCPS survey released today – would love to know what you think! FCPS Survey Results Cost How Much? On Monday, Superintendent Dale is releasing the results of a survey about public trust and confidence in the Fairfax County Public Schools. Concerns that FCPS is becoming a business and not a community-parent based institution. Some initiatives go under the radar such as the decreasing honors program in the district. The FCPS survey was conducted by the District Management Council. This is the same consulting group that surveyed FCPS stakeholders in the fall of 2009. DMC’s survey findings at that time showed “a lack of confidence in the Administration’s ability to allocate resources.” It’s interesting that the focus group comments detailed above seem to indicate the public still has a lack of confidence about FCPS’ resource allocations. Think the press will ask the tough questions about these results tomorrow? Or will they parrot back FCPS’ carefully crafted press release? I’m betting on the latter. But just in case, here are some questions the press should consi der asking the Superintendent. 1. How much did FCPS pay to the District Management Council (DMC) for this survey? 2. 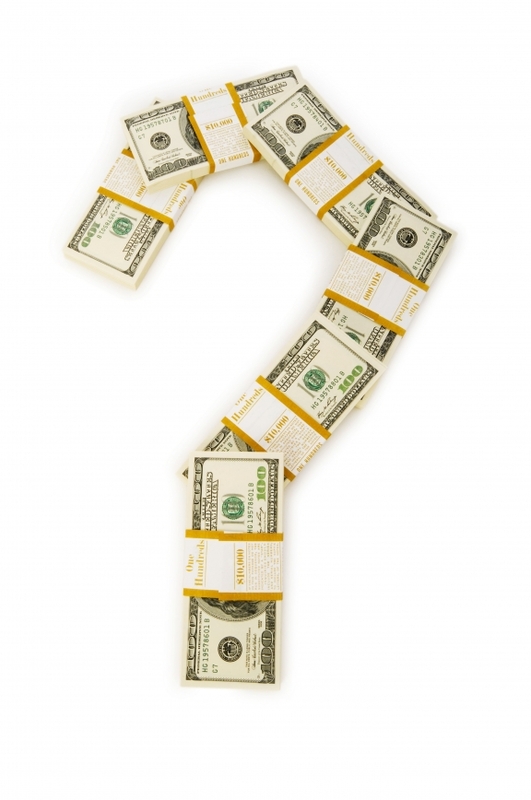 Does FCPS have a consulting contract with the DMC – and if so, for how much? DMC has done a lot of work for FCPS the past couple of years and lists several case studies about their work for FCPS on their website. 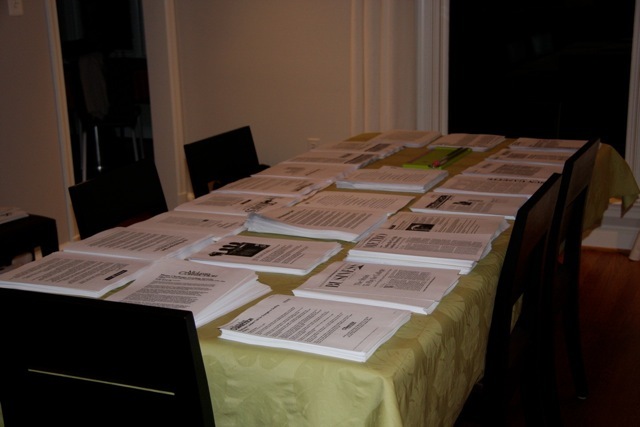 Here’s one called: Improving Budget Communications with the Community: Fairfax County Public Schools. DMC doesn’t list their consulting fees on their website. But earlier this year, Lancaster County in Pennsylvania paid the DMC $75,000 for help in improving its schools. One Lancaster taxpayer posted a comment saying, “Wow – these administrators are being paid top dollar at the taxpayers expense to run the school district and they have to hire a firm to tell them how to do it.” Lancaster is a small district compared to Fairfax County, so what are we paying?! 3. In the interest of transparency, will FCPS release all the raw data for this survey? Will newly elected School Board members who campaigned on the issue of transparency have access to the raw data? 4. What is FCPS’ plan to address the needed areas of improvement as identified by the surveyed stakeholders? It’s going to be an exciting week. By Tuesday night, we’ll know who our next school board will be. Do you value the status quo that ignores community and teacher concerns? Do you value a new dynamic that engages the public as true partners for making improvements to our public schools? The Washington Post values the status quo. They’ve endorsed a nearly straight Democratic party ticket. Actually I should say “She” has endorsed a nearly straight Democratic party ticket. Contrary to popular belief, these Washington Post endorsements are not issued by an objective editorial “board.” A single person at the Washington Post makes these endorsements – and she doesn’t even live in Virginia. 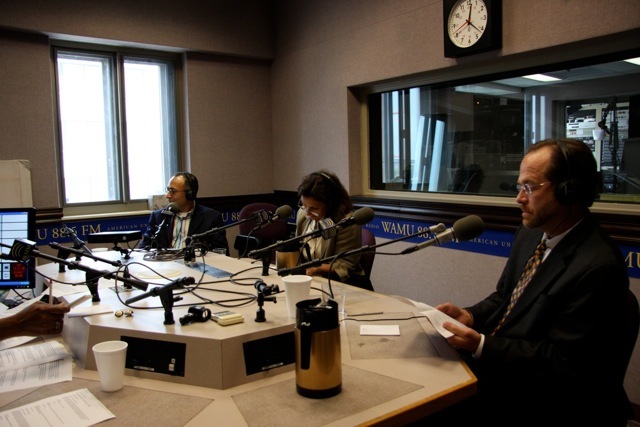 Weigh the value of a Washington Post endorsement with some skepticism. The Fairfax County Democratic Committee (FCDC) also values the status quo. They have stated they want a full Democratic-endorsed slate of candidates elected to the school board. They only care about party – not effectiveness or qualifications to serve. Don’t the Washington Post and FCDC realize that Republicans and Independents send their children to public school too? Are we to assume that if a parent is a Republican or Independent, their child doesn’t matter to Fairfax County Public Schools? They don’t seem to matter to the Washington Post or the Fairfax County Democratic Committee. And if a whole slate of Democratic-only endorsed candidates is elected, how will they represent you and your child if you aren’t an anointed, partisan Democrat? You know who isn’t focused on party affiliation as the marker of a good School Board member? Parent and teacher groups. Parent and teacher groups are focused on talented candidates who have ideas for reform – irrespective of party label – so that we have officials advocating for the community instead of rubber stamping the superintendent – reform that will lead to the hiring of an independent auditor so the public can find out why administrative spending has so grossly outpaced student enrollment growth and reform that will lead to data-based, decision-making instead of a system that hides the ball and ignores the facts. The parent and teacher endorsements matter the most because they come from the people who have been observing and interacting with FCPS officials for years and they don’t have a political agenda guiding their choices like FCDC. I’ve taken a lot of hits this campaign season. I’ve had my blog comments inaccurately parsed and not put into context. I’ve been personally attacked by many anonymous posters on community blogs and I am unfairly taking heat for campaign “activities” that I am not in the least way involved in. But that’s what happens when you take on the status quo. They will defend their turf no matter what it takes to keep their power. When you dance with fire, you have to expect some flames will be thrown your way. 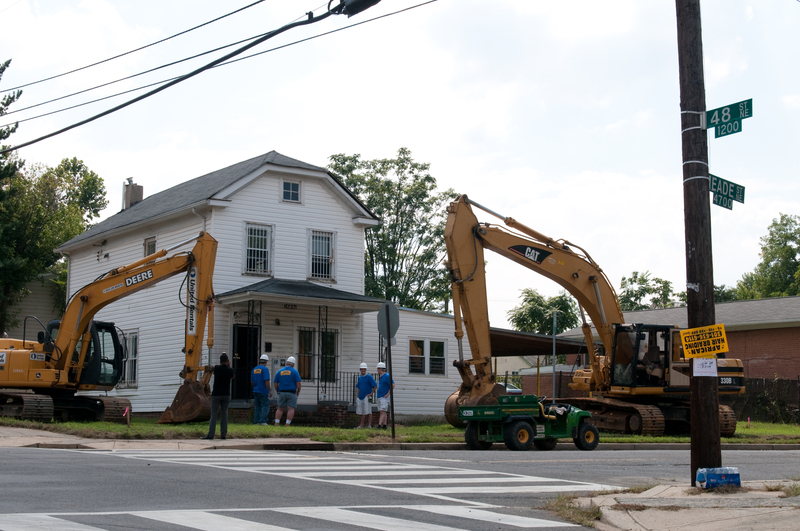 The status quo, the Fairfax County Democratic Committee and the Washington Post have all postured themselves to defend the Gatehouse castle. They don’t want reform. They like the incumbents and are pushing for their re-election at all costs. Voters, you are the ones with the real power. FCDC doesn’t get to vote. The Washington Post doesn’t get to vote. But you do. Do you want leaders who will go the distance and fight for the community’s concerns? Do you want leaders who are ahead of the curve on issues of concern to the public so that parent and teacher groups don’t have to drive change? Do you want leaders who want to engage the public and teachers as true partners? Do you prefer incumbents (and some new candidates) who have sat on the sidelines for years defending the status quo because they ARE the status quo? You decide. Your Vote Matters. A picture really is worth a thousand words isn’t it? 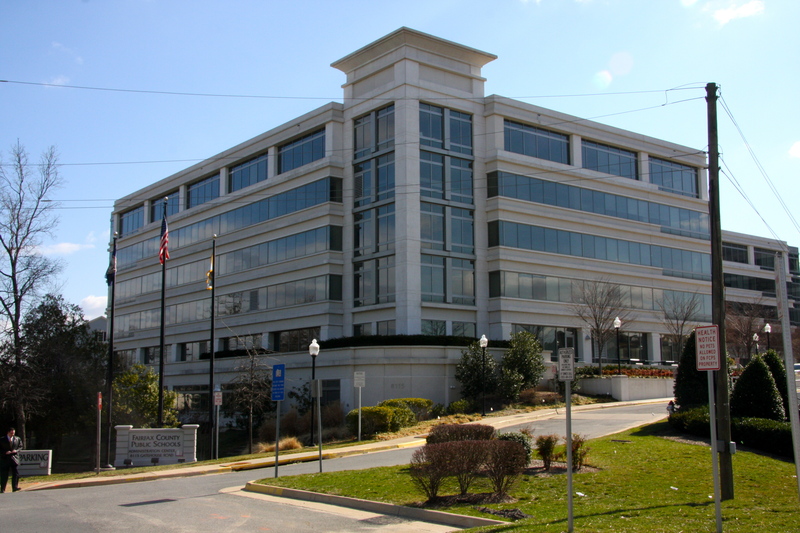 This is the Fairfax County Public Schools headquarters, known as “Gatehouse,” located in Falls Church. It’s a pretty large building which makes it hard to believe claims that central HQ staff is “lean.” If it were so lean, why the need for so much administrative office space? 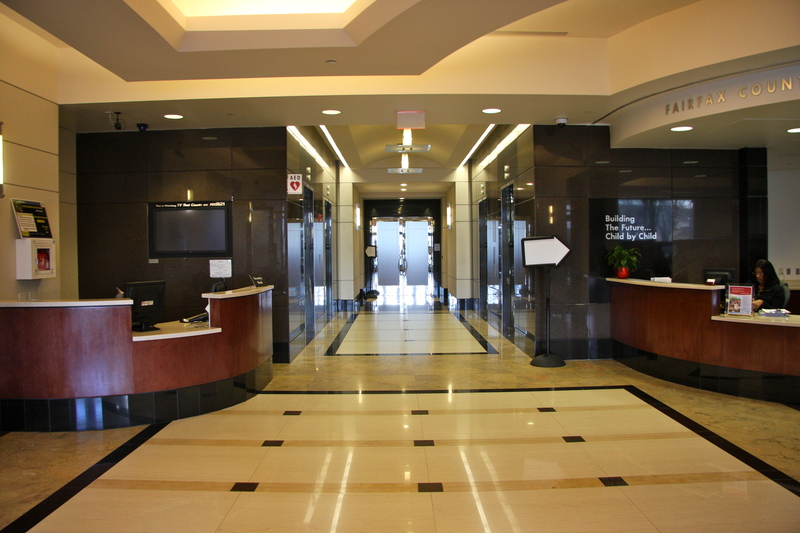 Notice the beautiful granite lobby flooring. 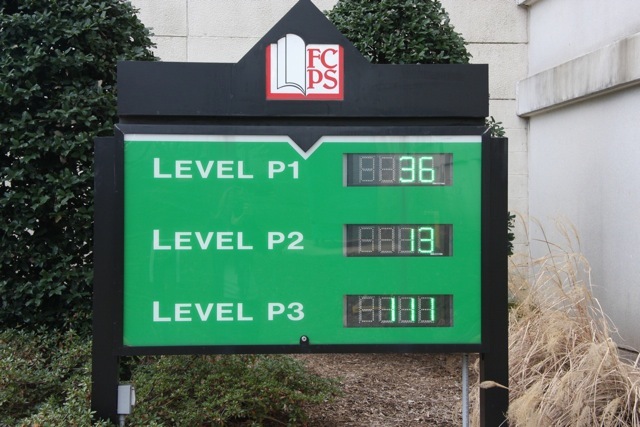 Notice the computerized parking garage system that tells visitors how many spots are available on each floor. FCPS headquarters also contain a fitness center and on-site credit union. 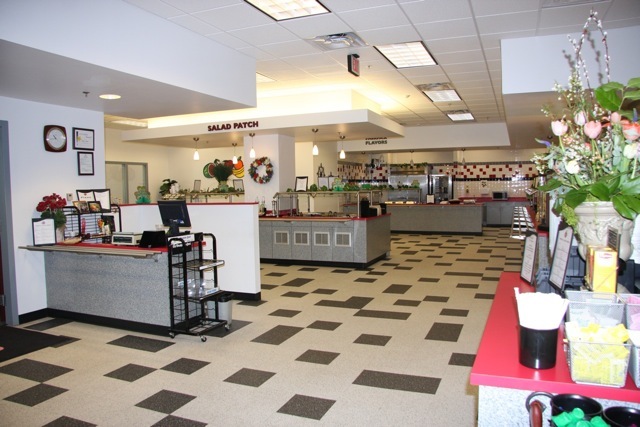 Check out the beautiful cafeteria – which seems rather unnecessary considering that at least six restaurants and a grocery store are within a three-block walking distance from this building. 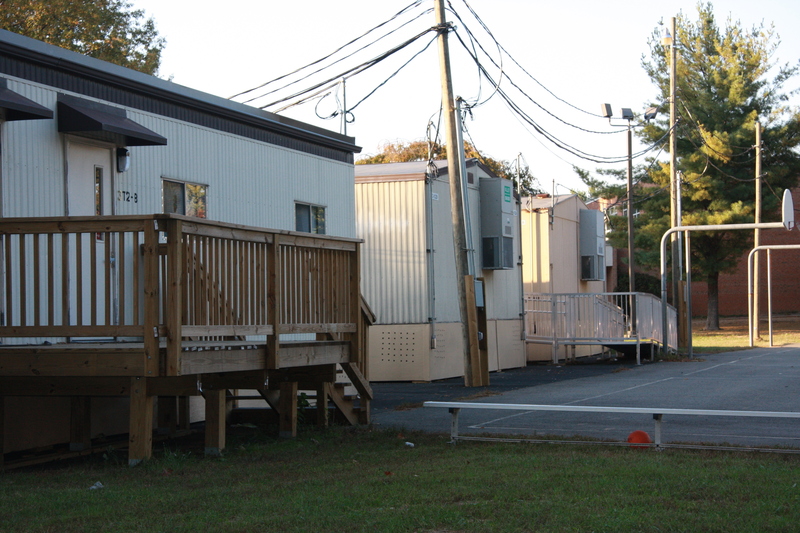 Now juxtepose FCPS administrators’ plush work space with our student’s 21st century classroom – double-wide trailers with no indoor plumbing and usually lacking air conditioning. As of today – Friday, October, 28th, we are 10 days away from electing a new school board. Sitting school board members who are seeking re-election are telling voters not to look to the past. Why? Well, the pictures displayed here demonstrate incumbents have focused our valuable tax dollars on themselves before students! Thankfully, that debacle – known as Gatehouse II – was voted down by a very prudent Board of Supervisors. I’m not buying this eleventh-hour, canned campaign rhetoric that 18-year incumbent Jane Strauss and 12-year incumbent Ilyrong Moon are throwing out about 21st century classrooms. We’ve been in the 21st century for a decade now. They have both been in office for almost two decades each! Why weren’t they preparing us for the 21st century during the 20th century? It’s time to get this school district’s priorities right again. We can’t do that if Jane Strauss, Ilyrong Moon and Kathy Smith are re-elected. 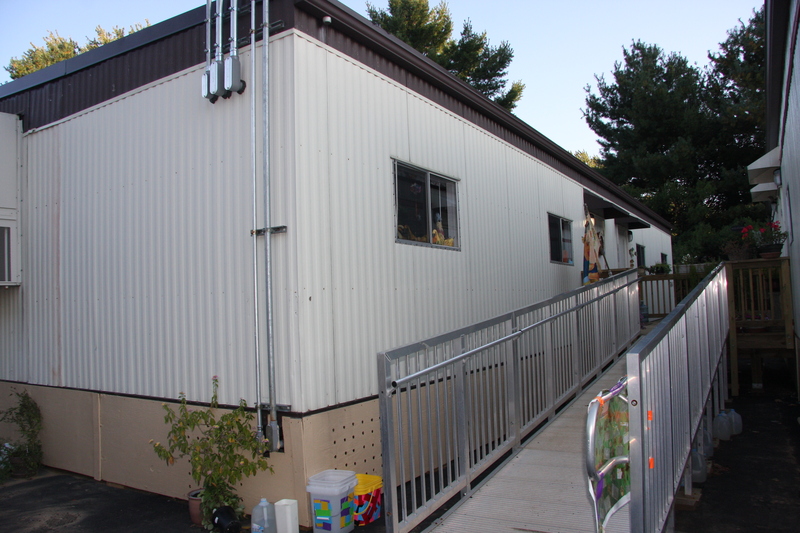 If these incumbents really cared about all students, they would have lowered class size years ago and made administrators work out of trailers instead of our kids and teachers. On Tuesday, November 8th, say NO to expensive new administrative buildings. Say NO to incumbents Jane Strauss, Ilyrong Moon, Kathy Smith and Dan Storck. Say YES to NEW School Board members who will use tax dollars efficiently and put kids and teachers first! The decision is in your hands voters. Patch.com ran such a great article today about Steve Greenberg’s speech to the School Board last night that I’m printing it in full here. Steve is the president of the Fairfax County Federation of Teachers. His outreach and dedication to his teacher colleagues show he has the true pulse of a good percentage of teachers who work for FCPS. We already knew the discipline process was hostile. So too, apparently, is the FCPS workplace. School Board elections are in less than three weeks. Your choices for School Board are more important than ever! FCPS can only see real change if voters clean house and clean up the culture of how teachers, parents and students are treated. Say NO to long-term incumbents like Strauss, Moon, Smith and Storck. Take the lead from the teachers – make your voice heard at the ballot box on Nov. 8th! 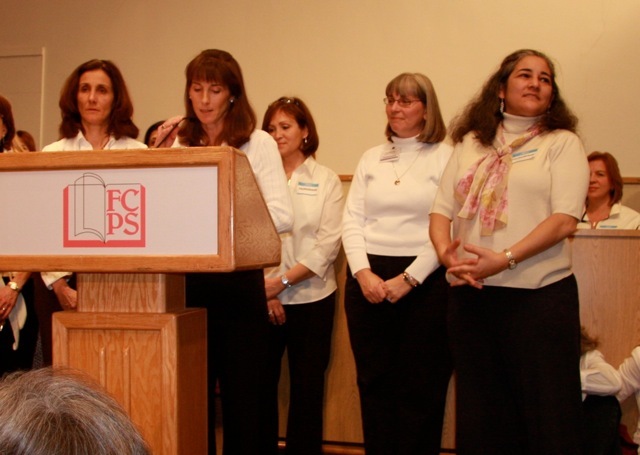 By Erica R. Hendry – October 20, 2011 – A teachers’ union representing thousands of Fairfax County Public School teachers says its members are afraid to offer input or speak out about classroom or curriculum changes. But intimidation and bullying of teachers at certain schools from FCPS administrators are not new issues, the union says. 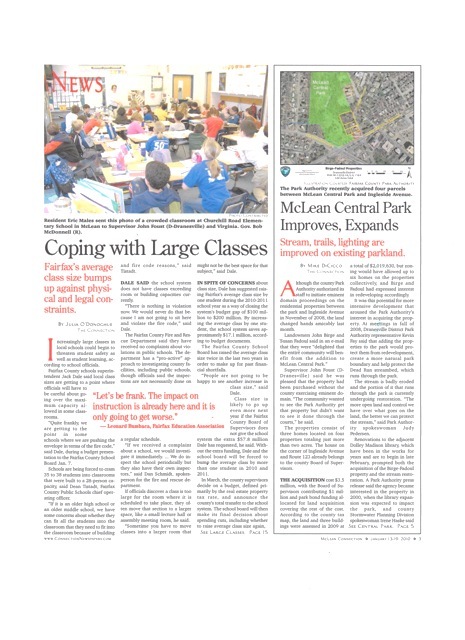 Stephen Greenburg, president of the Fairfax County Federation of Teachers, said the climate in schools across the county has been deteriorating for a decade, and despite several attempts to create an ongoing dialogue about the issue, it hasn’t improved. The issue also came to light at a school board candidates’ forum last Saturday, during which School Board Member Dan Storck said his wife, employed by FCPS, doesn’t feel comfortable giving input in her environment, according to Greenburg and parents at the forum. “This dynamic is real, and it’s out there,” Greenburg said. Greenburg said the recent promotion of Phyllis Pajardo to Assistant Superintendent of Human Resources is “a good first step in eliminating this culture of intimidation, one that had been established by her predecessor,” and his members have already seen positive changes in how the department handles employee issues. 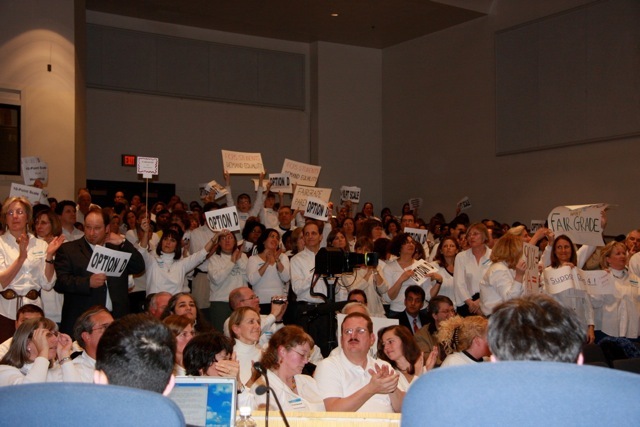 The issue plays into a long-standing request from FCFT and the county’s other teachers union, Fairfax Education Association, for more communication with the board and a consistent, open, ongoing avenue for dialogue. At that meeting, during which the board approved student achievement goals for math, science and technology,Greenburg told the board that a key piece of data — teacher input — was missing from the goals. The goals did not include any current information about the success or downfalls of instruction and curriculum in the classroom, he said. Since then, the unions have asked for dedicated monthly meetings with a committee of school board members, similar to how the board meets with other groups and advisory councils. While Superintendent Jack Dale has since invited the board chair to sit in on his meetings with the unions, Greenburg said, a way for the unions to consistently communicate directly with the board has yet to be established. Such a meeting could help school board members ask for teacher input, and also allow the unions to bring teacher issues forward — in theory, Greenburg said, addressing the ‘climate of intimidation’ before it escalated to the atmosphere that exists today. Last week, CBS News and the Washington Post contacted me about Jane Strauss’ plagiarism of the images Louise Epstein has been using on her campaign materials since May 2011. If you live in Herndon, Great Falls or McLean, you can’t miss the huge photo of three graduates plastered on Epstein’s 4′ x 8′ campaign road signs. Recently, Strauss “adopted” use of similar imagery in her revamped campaign brochure that uses the same students. Strauss appears to be injecting some “voter confusion” into the campaign. That’s a pretty low-ball move but par for the course with her struggling campaign these days. The plagiarism story ran on both the CBS News DC bureau website and on the new Washington Post blog “Virginia Schools Insider” hosted by reporters Emma Brown and Kevin Sieff. Imitation may be the sincerest form of flattery, but this is not a joking matter. Consider the fact that if Jane Strauss were an FCPS student, she would be brought up on honor code violations for plagiarism. The chairman of the FCPS School Board should not be sending the signal to students that plagiarism is okay. Plagiarism is never okay. Strauss is telling reporters that the use of Epstein’s branding image is unintentional and that she never saw Epstein’s campaign materials. That’s funny – because her people were picking up Louise’s campaign flyer at the McLean Day Festival back in May. Also, does Strauss honestly expect the public to believe that she and her campaign have never visited Epstein’s website before August? Epstein’s site went live in May and the imagery Epstein is using has never changed. Strauss’ recollection of events seems to be fading a lot these days as we recently saw on her claims about her level of participation with FAIRGRADE. Strauss also seems to “borrow” from the hard work of others a lot. Her “idea” for an independent auditor for the School Board has been pushed by school board member Patty Reed for two years now. Suddenly, it’s now Strauss’ “original” idea? Um… right. After 18 years in office, apparently Strauss’ well of ideas has run dry. 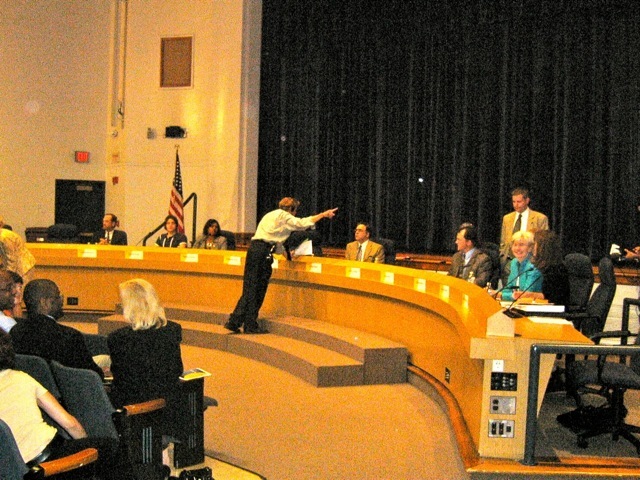 McLean, VA- Wednesday, October 12, 2011 – A dispute has emerged between Fairfax County School Board candidates Louise Epstein and Jane Strauss about Straussʼs level of involvement in the 2008-2009 FAIRGRADE initiative as a School Board member. 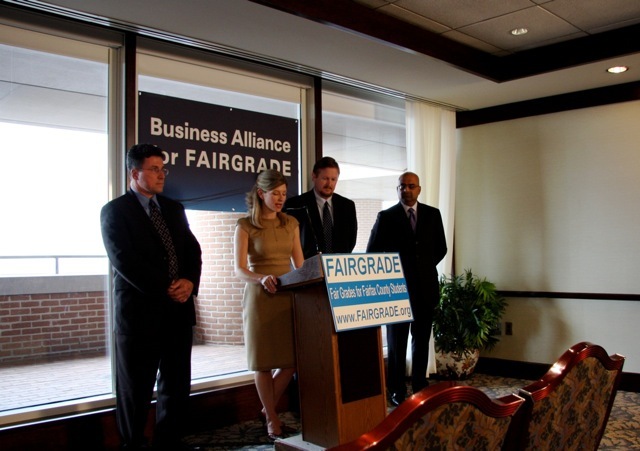 During the debate at McLean High School on 9.27.11, Strauss claimed she supported the FAIRGRADE initiative as early as 2007. Newly Released FAIRGRADE emails (click here) from 2008-2009 clearly demonstrate that Strauss is misleading the public about her involvement. Strauss is also misleading the public about the events that led up to the final January 22, 2009 vote on FAIRGRADEʼs grading reform proposals. Straussʼcampaign has gone so far as to publicly call Epstein a liar – a charge Strauss’ campaign has yet to substantiate. 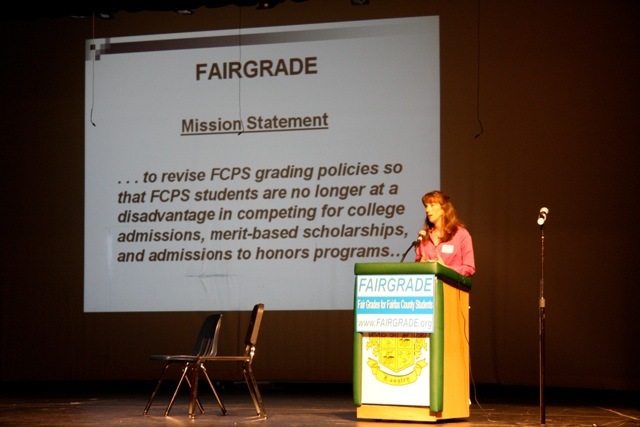 In the debate, Strauss claimed she acted as the School Board whip to get the needed votes required for passage of FAIRGRADEʼs grading reform proposals. In what appears to be a politically-motivated move, School Board member Brad Center submitted a letter to Patch.com, to support Straussʼ version of the events. In his letter, Center claimed he only had “a couple of conversations” with Epstein regarding the final FAIRGRADE motion. Newly released FAIRGRADE emails show 16 detailed information exchanges and email conversations between Center and Epstein – including a summary of one in-person dinner meeting, concerning Centerʼs strategy for getting FAIRGRADE passed. These emails support Epsteinʼs version of events. 1. Strauss is engaging in dirty tricks campaigning. Strauss is maligning Epsteinʼs character and inflating her own level of alleged “involvement” with the FAIRGRADE initiative – not only at the beginning of the process, but also during the final push for passage of FAIRGRADE in Jan. 2009. 2. Strauss is using School Board member Brad Center to cover up for exaggerating her alleged involvement with FAIRGRADE. In a recent letter to the editor printed on Patch.com, Center said he “had a couple of conversations” with Epstein. In fact, the email record demonstrates a total of 16 detailed email exchanges sent from Brad Center to Louise Epstein about who would make the final FAIRGRADE motion, what the motion would say as well as on-going whip counts about which school board members were on board and which were not. 3. Strauss is also using Sara Pacque-Margolis to cover up for Strauss’ exaggeration of her involvement with FAIRGRADE. Ms. Pacque-Margolis resigned from FAIRGRADEʼs leadership team eight months before the final School Board vote. Pacque-Margolis was not privy to conversations or emails concerning the final vote in January 2009. She had no direct knowledge about which School Board members helped round up votes and which School Board members did not. Her recent comments in a letter to the editor are without merit and, like the letter from Brad Center, also appear politically motivated. 4. Straussʼ conduct is unbecoming of a School Board member. Strauss’ campaign has recklessly called a respected parent advocate a liar without adequately backing up this charge. Strauss has also failed to provide any documented proof that demonstrates that she personally advocated for and collaborated with the FAIRGRADE leadership team early in the process, and at the end, to get the motion supported by FAIRGRADE passed. 5. If Strauss had been engaged as early on in the process as she claims, FAIRGRADE wouldn’t have taken 2 years to pass. It could have taken 6 months, like the Full-Day Kindergarten initiative, which Strauss quickly jumped on this election year. 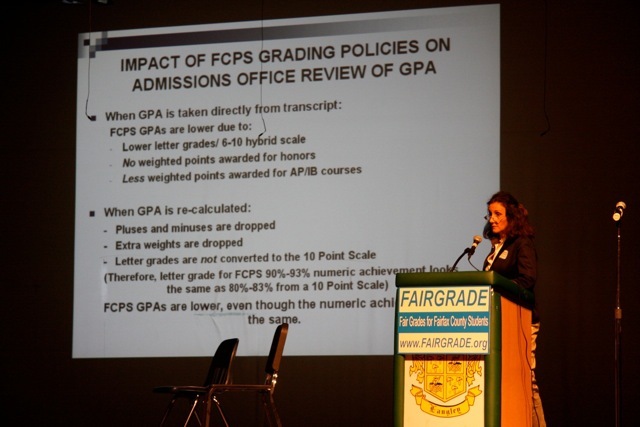 Instead, it took the efforts of FAIRGRADE leaders like Louise Epstein to secure grading policy reforms that put FCPS students on a level playing field with students from similarly competitive school districts. The following summaries from emails written during the FAIRGRADE process demonstrate Straussʼs failure to support FAIRGRADE until the very end, contrary to Centerʼs recent letter to the editor. The FAIRGRADE emails show that Strauss held back, tried to game the system for the school administration and then finally gave up only when she saw the votes were there for FAIRGRADEʼs proposal. The fact that Strauss arranged to make the critical motion on January 22, 2009 demonstrates that she is a crafty politician who knows how to claim credit for the hard work of others. EMAIL 1: Date: 1.13.09 at 10:55:24pm – Louise Epstein summarizes her dinner meeting with Brad Center for the FAIRGRADE team. Epstein writes that Center stated Janie never believed anything was wrong with FCPS grading policies and she is finally coming on board for political reasons. EMAIL 2: Date: 1.14.09 at 8:01pm – Center informs Epstein that he will shop options and scenarios around to certain School Board members. 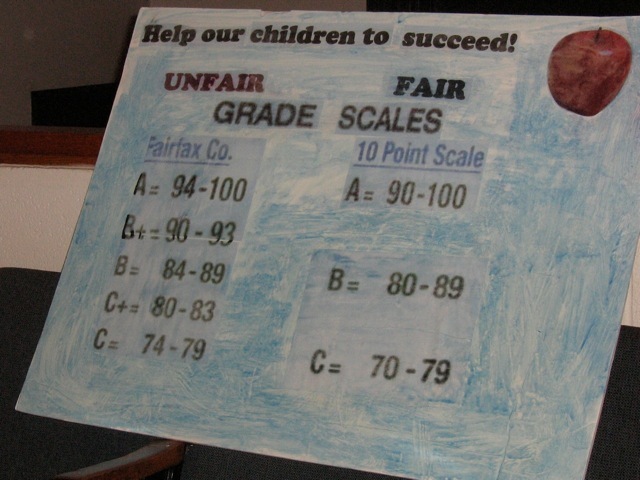 EMAIL 3: Date: 1.14.09 at 8:06 pm – Center advises FAIRGRADE to focus just on grading scale charts as the next step towards getting support for the motion. EMAIL 4: Date: 1.15.09 at 06.55:16 pm – Center clarifies his level of support for grading scale options, in response to Epsteinʼs question. EMAIL 5: Date: 1.15.09 at 10:41:42 pm – Center sends his personal email address to Louise Epstein. EMAIL 6: Date: 1.16:09 at 14:37:04 pm – Center tells Louise to call him the next day and provides his home telephone number. EMAIL 7: Date: 1.16.09 at 18:04:14 pm – Center asks Epstein for the FAIRGRADE 10-point scale. Says he’ll talk to Phil Neidzelski-Eichner, Dan Storck, Ilryong Moon, Kaye Kory and Liz Bradsher. He does not mention Jane Strauss. advised FAIRGRADE not to talk to Jane Strauss, Stu Gibson, Tessie Wilson or Kathy Smith. EMAIL 9: Date: 1.16.09 at 18:43:47 pm – Center thanks Louise for providing info on FAIRGRADE positions. EMAIL 11: Date: 1.16.09 at 21:02:57 pm – Megan McLaughlin sends FAIRGRADE a summary of her phone conversation with Center. In this call, Center reiterated his concerns to Megan about Jane Strauss. EMAIL 12: Date: 1.17.09 at 13:04:04 pm – Center informs Louise that Liz Bradsher emailed him info about D bracket. EMAIL 13: Date: 1.17.09 at 14:54:46 pm – Center informs Louise he wants to secure commitments for a 10-point scale, and doesn’t want to get into debates about A+ or F ranges. EMAIL 14: Date: 1.17.09 at 19:42:25 pm – Center informs Louise that Tina Hone’s father just died and she may not make the final vote. EMAIL 15: Date: 1.18.10 at 1:26:16pm – Louise Epstein sends an email to FAIRGRADE team summarizing her phone call with Brad Center, where Brad stated that on the grading scale issue, FAIRGRADE could not count on Janie or Jim Raney but they both might ultimately vote for it. EMAIL 16: Date: 1.18.09 at 6:51pm – Center informs Louise he is working with Dan Storck on a motion and says Ilyrong Moon is missing in action. EMAIL 17: Date: 1.18.09 at 20:36:14 pm – Center says Moon is in agreement. EMAIL 18: Date: 1.18.09 at 21:26:03 pm – Center asks FAIRGRADE to call School Board member Kaye Kory and states Dan Storck will make the main motion specifying a 10 point system with pluses and minuses. 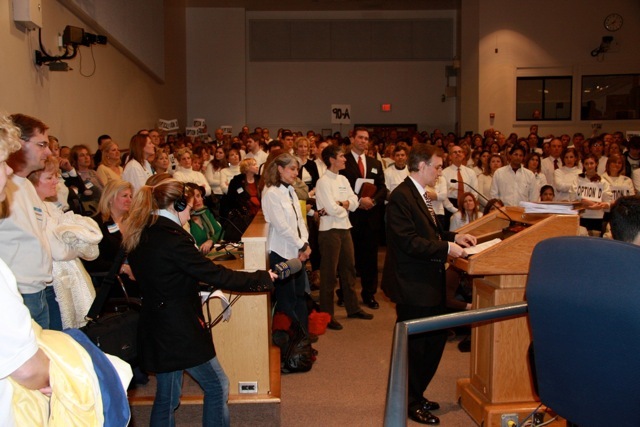 EMAIL 19: Date: 1.19.09 at 15.24:08 pm – Center describes which School Board members are on board with the FAIRGRADE motion. Says in bullet 3 he does not know either way if Janie is supportive of the motion or not. EMAIL 20: Date: 1.19.09 at 7:34:12 pm – Louise Epstein sends an email to FAIRGRADE team summarizing phone conversation with Brad. Email states that Ilryong Moon called Brad to say he would support the tweaked motion but that he wanted Janie to make the motion so she could get the credit. EMAIL 21: Date: 1.21.09 at 9:28am – After days of emails and phone calls between Center and Epstein on the whip count and motion, Center informs Louise Epstein that Jane Strauss will propose the amendment changes on the night of the vote. I think it’s impressive former Fairfax County Public Schools officials are “thinking outside of the box” when it comes to our county’s needy students. Why not? Addressing poverty doesn’t have to be a one-size fits all model. Here’s one option I know that works and that FCPS officials might examine. A few years ago, my friend Terry introduced me to Mr. Tom Lewis – an impressive, retired DC police officer – who created The Fishing School in Washington, D.C. Mr. Lewis provides after-school academic programs for at-risk youth. The school is reliant on corporate and private donations as well as a major yearly fundraiser that my friend Terry organizes. After I heard Tom’s story, my husband and I became supporters of this terrific school. Tom tells the heartbreaking story of his service in DC public schools as the on-site police officer. Many of the children would ask “Officer Tom” if he would be their dad. Tom learned that these children needed and craved personal attention. He realized there was a critical time period each day – from 3pm to 11pm – when these poor kids really needed adult guidance and a place to stay off the streets until a parent or guardian returned home from work. When Tom retired, he took his policeman’s pension – bought a run-down crack house, fixed it up and opened The Fishing School to help needy children who wanted him to be “their dad.” Two years ago, ABC’s “Extreme Home Make-Over” learned about Tom’s remarkable story. Thanks to the ABC Network, that former crack house is now a shining new facility and some of the city’s most at-risk kids get tutoring help, a healthy meal and a safe place to play. Tom was thinking outside of the box. Tom didn’t wait for DC Schools to come up with a solution. Tom didn’t wait for DC’s government to step in with funding. 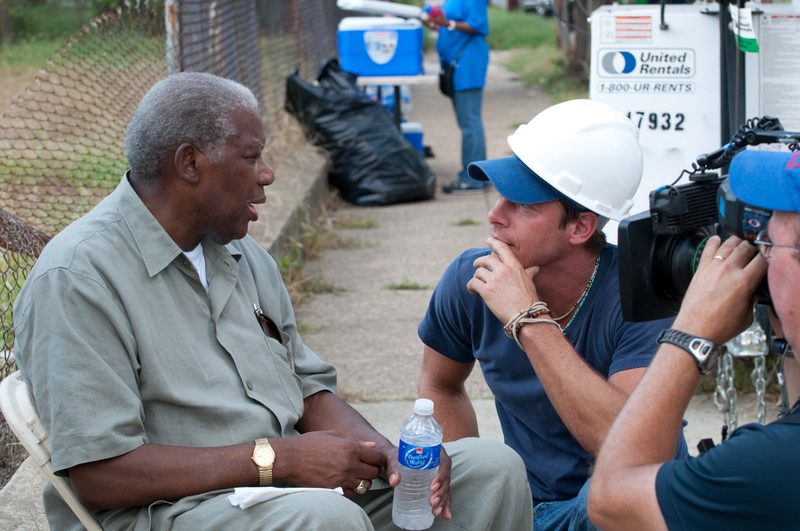 Tom took it upon himself to help break the cycle of poverty in his neighborhood and in his own way. The results have been incredible. I like the fact that these former FCPS officials are engaging in some similar “out of the box” thinking. Maybe a charter school is one way and maybe it’s not. But what’s the harm in trying? If there are officials inside or outside of FCPS who can offer effective solutions that provide “wrap-around” services for poor families, then I for one want to hear more about it. Kudos to the Fairfax County Council of PTAs and the Fairfax area League of Women Voters who are sponsoring a LIVE, televised debate for the Fairfax County At-Large school board candidates. This is a wonderful public service these fine community groups are sponsoring. Please check out the broadcast or the webcast. Let other voters know so they can check out the candidates too. Spread the word – this election is CRITICAL for our students, teachers and taxpayers. As you are watching the debate tonight – ask yourself which of the candidates will bring added value to this new school board. 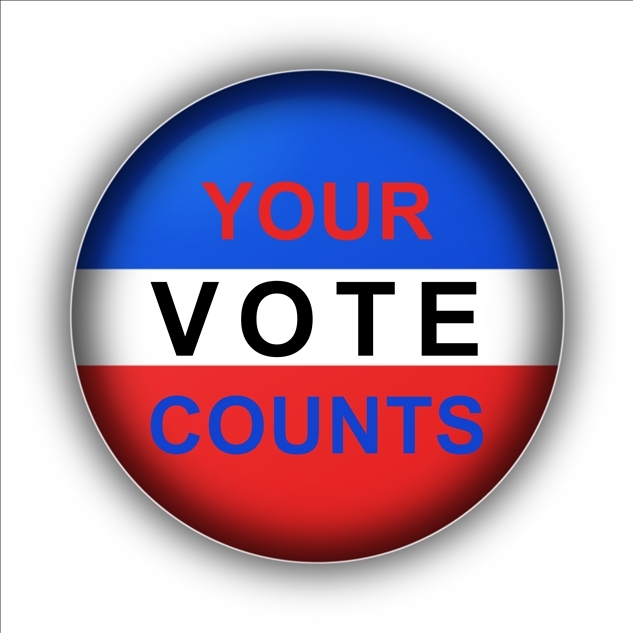 On election day, every voter can vote for three (3) At-Large candidates plus their district representative. We have seen how crucial the At-Large candidates can be for effecting change (a la’ Tina Hone who sadly is not running again), so choose your three At-Large favorites carefully! 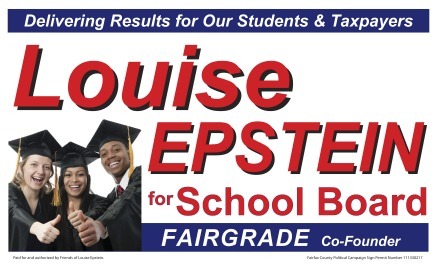 Louise Epstein, candidate for FCPS School Board – Dranesville District — today launched what is thought to be the first-ever campaign commercial to be produced in an election for the Fairfax County School Board. 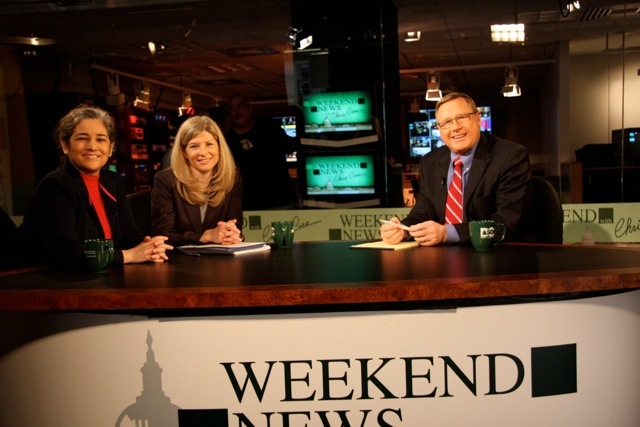 The :60 spot titled “That’s the Key” focuses on Dranesville voters telling why they are voting for Louise Epstein for School Board – and the need for new leadership to represent Herndon, Great Falls and McLean. The spot was produced in early September. Epstein is challenging 18-year incumbent and current School Board Chair Jane Strauss.